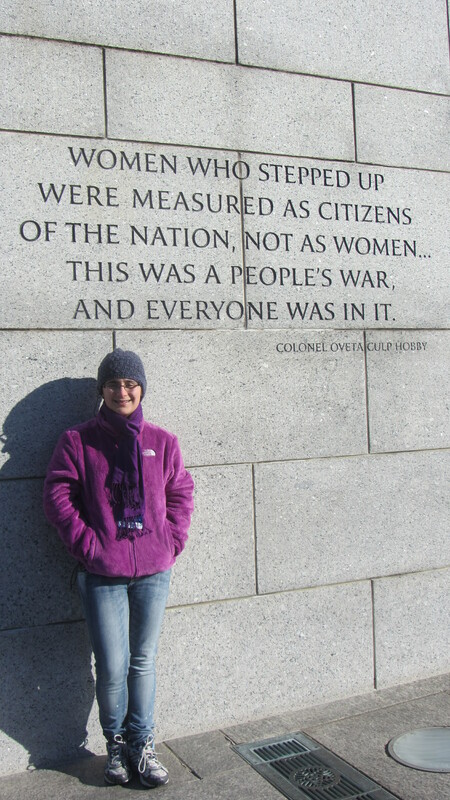 Eighth-grade students from Wells Middle School are currently visiting the Washington D.C. area for a five-day whirlwind trip of our Nation’s capital. Wells Middle School student Alexandra Stassinopoulos is chronicling for OneDublin.org some of her experiences over these five days. 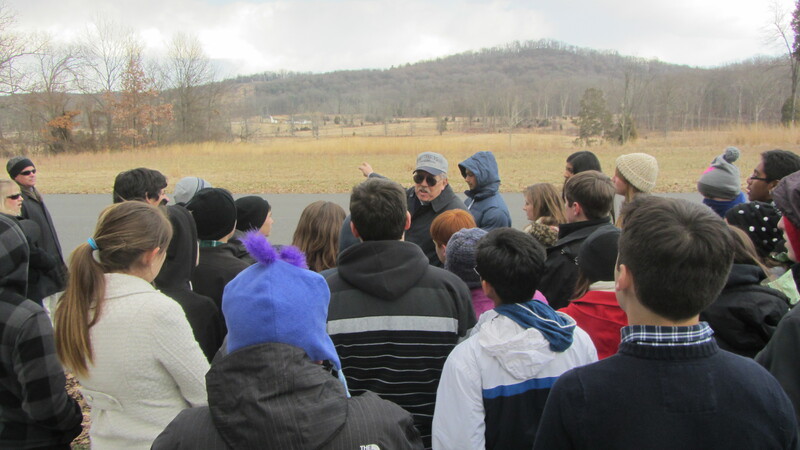 Students landed in Washington D.C. on Saturday evening, and on Sunday afternoon visited Gettysburg, Pennsylvania. Let’s just say that when you have a tour guide who claims he can teach you what West Point teaches in four years in three minutes, you know you’re going to have an interesting day. Don, our tour guide, did just that; not only did he teach us a strategy to help us win 99% of all fights (If you’re doing a frontal assault, something is wrong- attack their flank! ), but he also explained why fighting shoulder to shoulder isn’t quite as suicidal as Hollywood makes it seem. We met up with Don after viewing the National Gettysburg Museum’s stunning cyclorama reenactment of the Battle of, you guessed it, Gettysburg. The cyclorama was so stunningly accurate that it was hard to tell which cannons were real and which cannons were just painted. 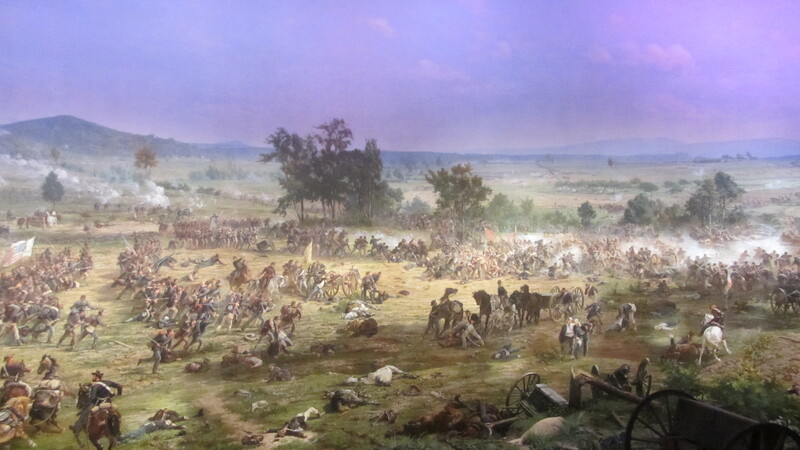 The most eerie thing about the panoramic painting though was the life-likeness of the soldiers. We found out after the presentation that the head painter and one of his aides had painted themselves into the cyclorama; talk about one’s image being forever eternalized. Of course, an experience like that isn’t the same without a good introduction, so before we saw the amazing painting, we watched a short movie that set the scene perfectly. 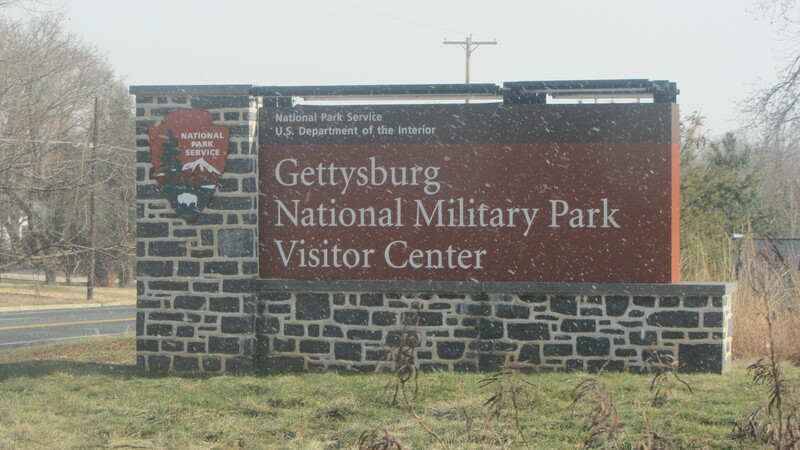 The film was complete with heart-stopping cannon fire and the re-reading of the ever popular Gettysburg Address. In Morgan Freeman’s compelling voice, we also learned about how our now much beloved President Lincoln was heartily despised by the South. He was so hated in fact, that before he was even inaugurated, seven states seceded from the Union and formed their own sovereign union which, in only a matter of months, would be involved in the bloodiest war in U.S. history- the Civil War. Don’s tour of the actual battlefield was a little more unorthodox. To teach us about fighting shoulder to shoulder, he had us line up and do a very visual and hilarious demonstration. Due to gunpowder used, the soldiers’ muskets caused so much smoke that it was impossible to see a foot in front of you. That meant that if you strayed from your line, you had about as much a chance as being killed by friendly soldiers as you did by the enemy. Apparently, you couldn’t just shout, “Hey you, what side are you on?” to a figure in the smoke; for some reason it was frowned upon in a “civilized” fighting environment. 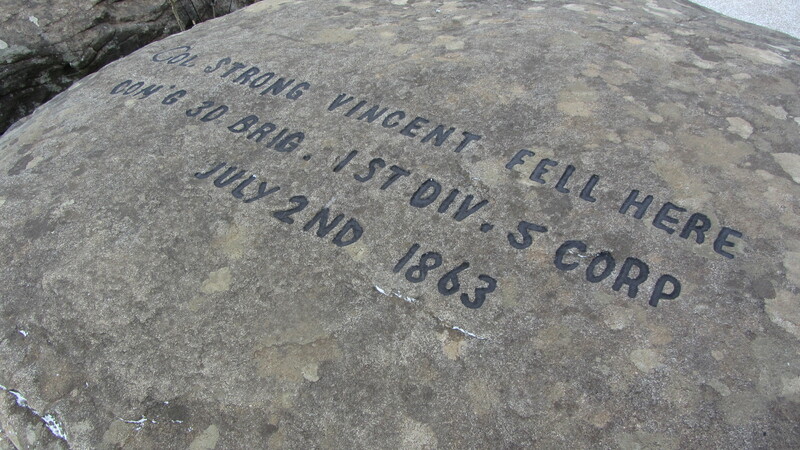 Our next stop was Little Round Hill, the place where the brave Gen. Strong Vincent fell as he motivated his troops to win the most decisive battle of the war. It was finger freezing cold, but even in our almost hypothermic state, we were still able to appreciate his insane devotion to his country and the bravery that helped make the United States what it is today. Alexandra, you write as well as you type! 😉 Stay warm and take lots of pics. I just know you’re having an awe-inspiring and memorable time! Great commentary – so much fun to read! Thank you Alex! Alexandra, Great article. Have a terrific time!